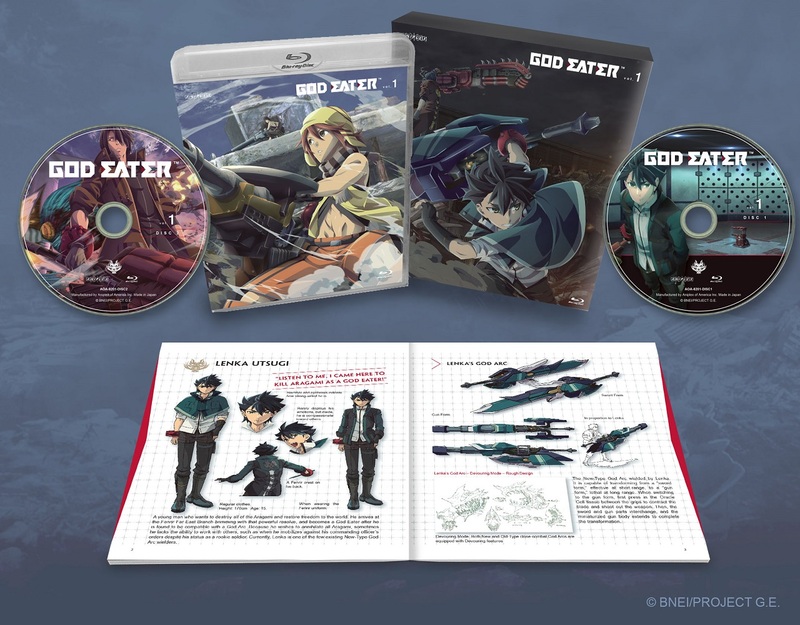 God Eater Volume 1 contains episodes 1-7 plus a 40-page deluxe booklet, special package illustrated by ufotable, and clear BD case with 2-sided wrap. In the early 2050s, unknown life forms called “Oracle Cells” began their uncontrolled consumption of all life on Earth. Their ravenous appetite and remarkable adaptability earned them first dread, then awe, and finally the name Aragami, the "Mad Gods." In the face of an enemy completely immune to conventional weapons, urban civilization collapsed, and each day humanity was driven further and further toward extinction. The year is now 2071... the domain of the mad gods lies here in the Far East. One single ray of hope remains for humanity. Following the development of "God Arcs" -- living weapons which incorporate Oracle Cells -- their wielders are organized into an elite force. Based on the hit videogame series by Bandai Namco Entertainment, and brought to you by the critically acclaimed studio ufotable (Fate/Zero, Fate/stay night Unlimited Blade Works)! 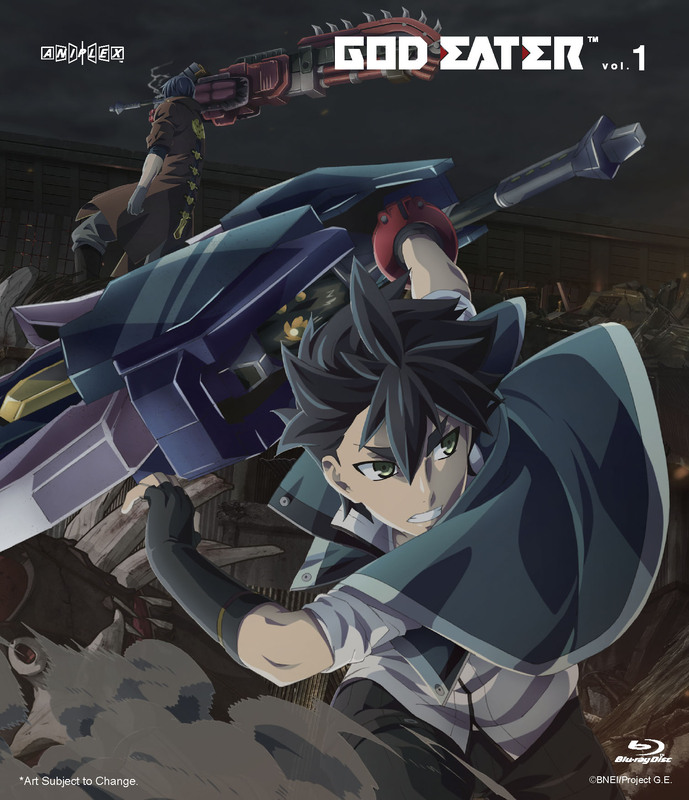 Special Features: God Eater Extra 00 ~ 02 (Creator Interviews), Textless Opening and Ending. Special Features subject to change. Just started watching the dub and it is fantastic! Love the animation but the pacing could be a tad better imo. Characters feel quite impactful and determined at times while others need work. Looking forward to the vol 2! I heard many good things about this anime so I decided since I am a dub watcher I ordered it. When I got the boxset in the mail I enjoyed this series and that it helped that Robbie Daymond is the main character as he is my fav dub voice actor at the moment. I think anyone that enjoys good action and story should check this out .